11/19/18. 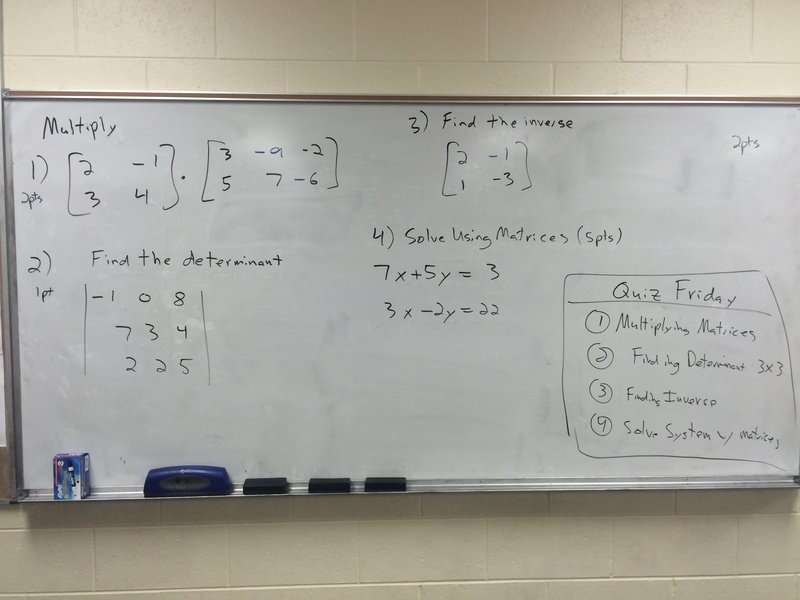 Students will complete the Matrices #1 and the Multiplying Matrices WS located above on the website. 12/4/18. Students will finish above assignment. We will go over problems in class to prepare for the Test.